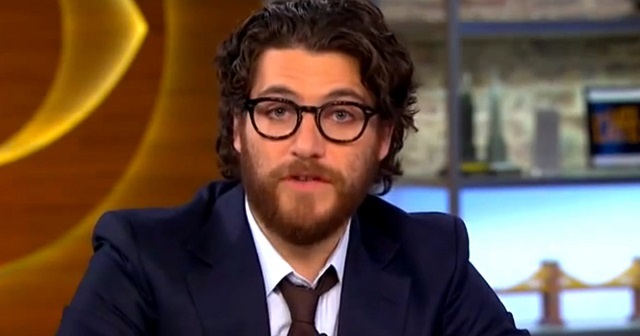 Adam Pally, star of the new FOX show "Making History," told TMZ on Wednesday he would like to assassinate President Donald Trump. After TMZ asked the actor who he would like to "spend an hour with" if he could go back in time, he responded by saying he would "have to" murder our democratically elected president Donald J. Trump. TMZ: Based on the time-travel element, how far are we away from actual time travel, would you say? Pally: I don’t know. Soon. Isn’t Elon Musk working on something like that? TMZ: Very possibly. Instead of asking what time period do you want to go to, if you could go back and spend an hour with anyone in history, who would you want to spend an hour with? And who would you not want to spend an hour with? Pally: I’d have to kill Trump or Hitler. Pally, backtracking: Maybe I’d have to go back and love them more. Pally: So they wouldn’t do these things. TMZ asked him a fun question and he responded by saying he wants to assassinate our democratically elected president -- "or Hitler." I'm sure the media will be all over this just as they would have been if an actor said in 2008 he wanted to go back in time and kill President Obama. Oh wait, they're actually completely ignoring it.